Sisson Dupont & Carder will custom-design stairways to your specifications and local codes. 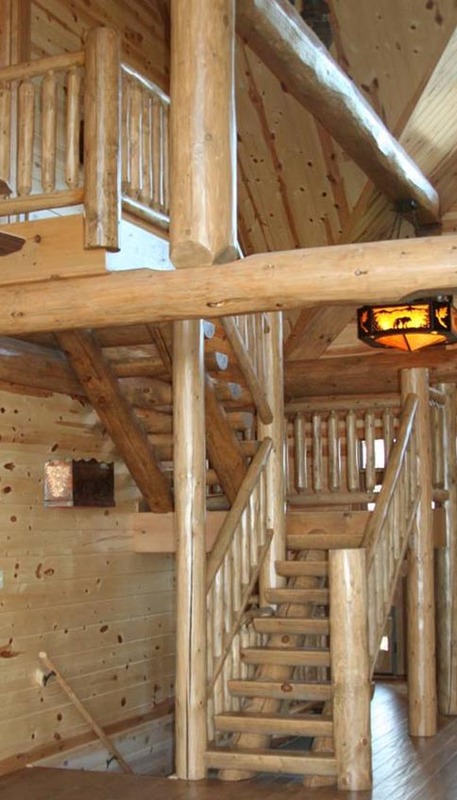 Whether you prefer open or closed treads, squared-beam or half-log construction, we’ll provide a free estimate based upon your plans. In round log applications stringers will be custom cut with saddles for the treads for the rise and run and you need. Want help designing a one of a kind stairway? Give Sisson, Dupont & Carder a call.